Libby is a writer, director and producer. Currently she is Director of Big Fridge Theatre, a collective specialising in devised immersive theatre. Big Fridge are taking their play Barred to the Greater Manchester Fringe in July, after a successful run in November. 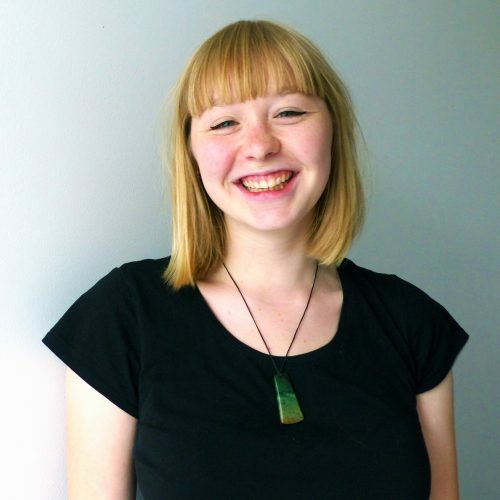 Libby is also the Producer for Plaster Cast Theatre (“The benchmark that all young theatre companies should aim for” Edinburgh 49), taking their new verbatim dance show Sound Cistem to Edinburgh Festival Fringe’s ZOO Venues in August. She has consistently reviewed plays for The Mancunion, and on a semester abroad in Montreal Libby also wrote for The McGill Daily. She has also recently been accepted to write for The Student. Libby’s playwriting has often been shared at scratch nights such as HIVE in Manchester. She was also one of the winners of the Manchester Monologue last year; her monologue was performed by actress Cherylee Houston at the Royal Exchange Theatre, in an event commemorating the first women getting the vote.